When kicking off a new home remodeling project, start by determining how much of a home remodeling budget you have to work with. Consider what you plan to put in for cash as well as any expected financing. One key tip, just remember that things always cost more than expected and circumstances always arise during a home remodeling project. Consequently set some funds aside for contingencies. I would suggest a contingency figure of about 10% of what you think the overall cost of your home remodeling budget will be. 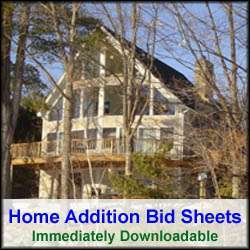 Next, it is important to estimate each and every home remodeling cost. The more thorough and accurate your costs estimates are, the more accurate your overall home remodeling budget will be. Understanding all of your home remodeling budget costs up front can help you plan the size of your home renovation or remodeling project, and how to pay for them. Also, don’t forget to include engineering, architect, and home remodeling permit costs. Engineering and architect costs can be quite expensive. Remodeling permits are typically inexpensive, but by not accounting for them you may forget to pull them. 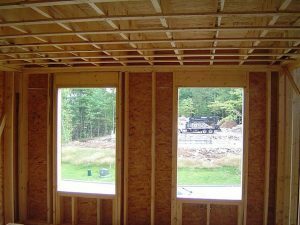 Not pulling home remodeling permits can be quite costly, as the local government could demand you tear the new home addition down or cease and desist with your home remodeling construction. When developing your home remodeling budget you can start out with your own rough home remodeling cost estimates, but as your home remodeling plans are fleshed out they should be replaced with accurate costs. By obtaining contractor and subcontractor quotes you should be able to get a fairly accurate idea of your overall home remodeling budget costs, as well as the specific costs for each aspect of your home remodeling project. Also, break up costs in terms of labor and materials whenever possible. This way you can have better visibility and control. For example, by breaking out material costs you may decide to use a different type of siding, carpeting, or flooring. Likewise, if the labor costs are broken out you may see areas where you are being potentially price gouged, and can then look to higher alternative subcontractors. Finally, during the home remodeling construction phase it is important to methodically monitor and maintain you’re your home remodeling budget. Knowing where you are at all times in your home remodeling budget costs is the best way for not only controlling costs, but also managing the project.